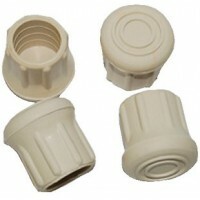 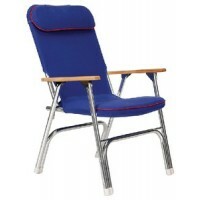 Ergonomically correct design supports your body's natural position. 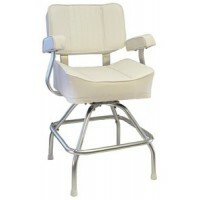 Designed with a Glassp cup and b..
Deck chair with swivel table Description: Chair w/ swivel table..
For 1" chair legs and tubing ends Pack: 4Description: Poly..
For 1" chair legs and tubing ends Pack: 2Description: Double leg tips, Poly..
Mariner chair sewn cushions Size: 26" W x 15-1/2" DColor: White..
For 1" chair legs and tubing ends Pack: 4Description: Rubber..
Padded deck chair w/red piping Size: 24" HColor: Blue..
Dlx captains chair package Color: White..
Non-marking rubber tips are great for use on deck chairs, boarding ladders, boat hooks, etc. 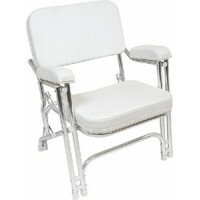 Pack: 4..
White folding deck chair Size: 24" D x 26" W x 30" HColor: White..